This little celeb dude - Edward Duke Rancic, son of Giuliana and Bill Rancic - has made his Halloween debut in this cute-as-pie outfit. 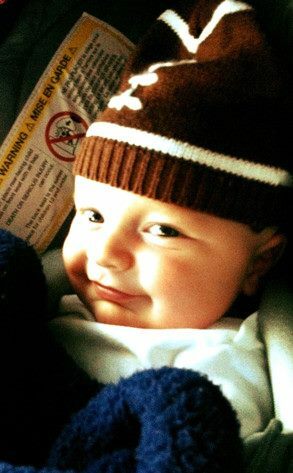 Cute bubba Duke [they call him by his second name] was all dressed up in his football beanie for Halloween. He had a monkey costume ready, but according to Giuliana, "He was NOT in the mood to be a monkey... so daddy won his first costume choice." The defintion of adorbs. And blessed.